Dart World has taken our killer combination of the number one selling dart, the 80% Tungsten Piranha, and the best selling shaft, the Top Spin, and enhanced it with Dart Worlds own NON SLIP RAZOR GRIP". The Razor Grip is comprised of hundreds of tiny cuts creating a unique gripping pattern allowing the player to have a confident finger placement on the barrel. 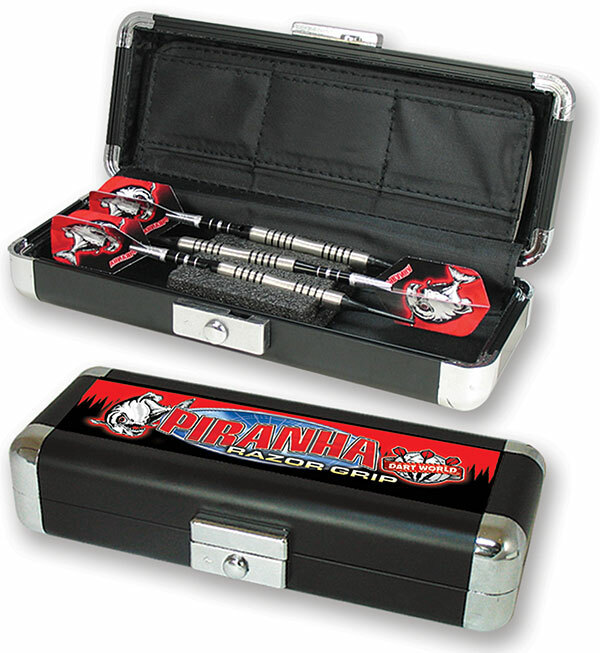 The Piranha is now available in Dart Worlds Galaxy Case.